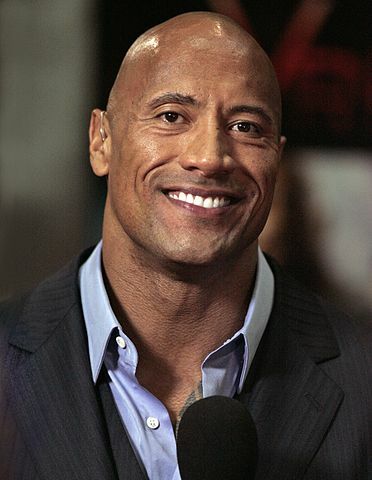 Dwayne Douglas Johnson was born in Hayward, California, United States on May 2, 1972, is an American actor and semi-retired professional wrestler. Young Dwayne Johnson began his career as a professional wrestler in the 1996, he won the USWA World Tag Team Championship twice. He made his WWF debut as Rocky Maivia on Monday Night Raw on November 4, 1996. He made his acting debut in television period sitcom That '70s Show (1999) in role as his own father. He made his big screen debut in action adventure fantasy movie The Mummy Returns (2001) in role as Mathayus/The Scorpion King. He played the same character in historical fantasy film The Scorpion King (2002). He portrayed Luke Hobbs in The Fast and the Furious movie series opposite Vin Diesel: Fast Five (2011), Fast & Furious 6 (2013), Furious 7 (2015) and The Fate of the Furious (2017). He is one of the greatest pro wrestlers of all time, won the WWF/E Championship eight times and the WCW/World Championship twice. He won his first WWF belt in 1997, at age of 24. His ring name is The Rock. Dwayne is one of the the top grossing actors on Forbes magazine list. Has a fear of spiders. He was married to Dany Garcia (1997-2007), they have a daughter, Simone. He began dating Lauren Hashian in 2006, they have two daughters. Lives in Southwest Ranches, Florida. I have so much love and respect for the fans. I'll never forget where I came from. I love the business.